Lasanga definitely reminds me of one of two things- either eating out at a restaurant, or eating it for a holiday. Those are really the only times I eat lasagna, so it surely is something special. As you can see, it didn’t seem like there was a ton of cheese, but looks can be deceiving! Upon first bite, I got a lot of cheese, and found a good amount of it stayed on the side of the container (no worries- I scraped it off with my spoon!) And speaking of the cheese, it definitely tasted like mozzarella, and it was very stringy! Kind of like when I pulled my fork up a long string of cheese connecting to the dish was formed and I had to twirl my fork over and over again to break the strand. There also was ricotta cheese, which I really enjoyed. It was chewy yet soft, and kind of reminded me of something that took place of traditional “meat” that may be there. 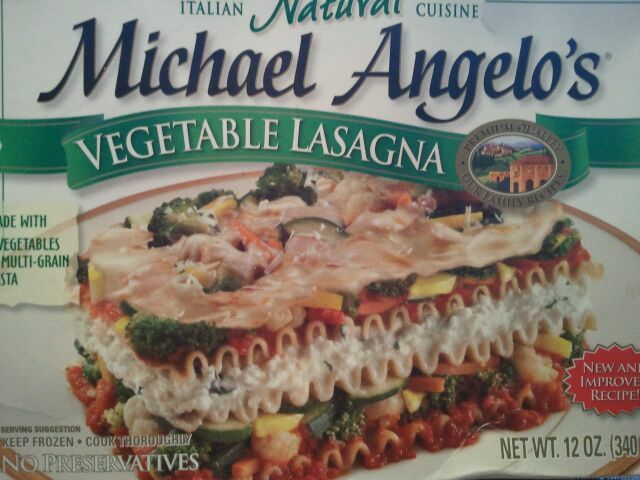 When I was little, my family used to put ground beef in lasagna, so that’s what it reminded me of. So between the ricotta and the mozzarella, there was certainly no scrimping on the cheese! Next up, onto the noodles and veggies. 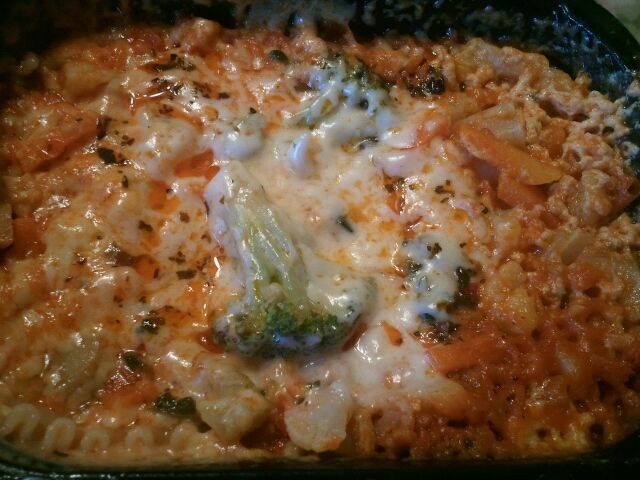 I saw pieces of broccoli, which were a little too firm for my likings, I would have preferred them more tender, pieces of carrots, cauliflower (which I loved!) and I think I got a piece of zucchini as well. They were mostly in between the noodles, which were chewy and not super soft, and still had a bite to them. By themselves, I wasn’t crazy about the noodles. I think I even tasted a flaxseed flavor, which I didn’t care for. 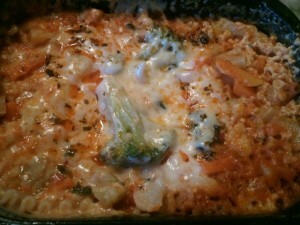 Lastly, which I think hindered this lasagna a little bit, was the sauce. It was very liquidy. I wish there was a more heartier sauce, as I felt it was almost like a tomato juice in consistency. It was delicious, slightly salty, with mild garlic flavor, but just too thin. 1 cup is 270 calories, 11 grams of fat (5 saturated), 440 mg of sodium, 29 grams of carbohydrates, 5 grams of fiber, 8 grams of sugar, and 15 grams of protein. 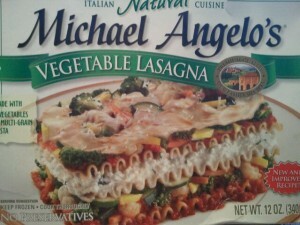 I was provided a coupon to try this lasagna for free from Michael Angelo’s. Hey guys! One of my readers Missy, asked kindly to help me promote her sister who is entering the “Happy Ever After” Contest for an awesome wedding at Disney! If you’d like to vote for them, please click here. Good luck!